Senior Courtney Abbott receives the Sacrament of Reconciliation from Fr. Pat Jakel of St. Paul Catholic Church in Highland. 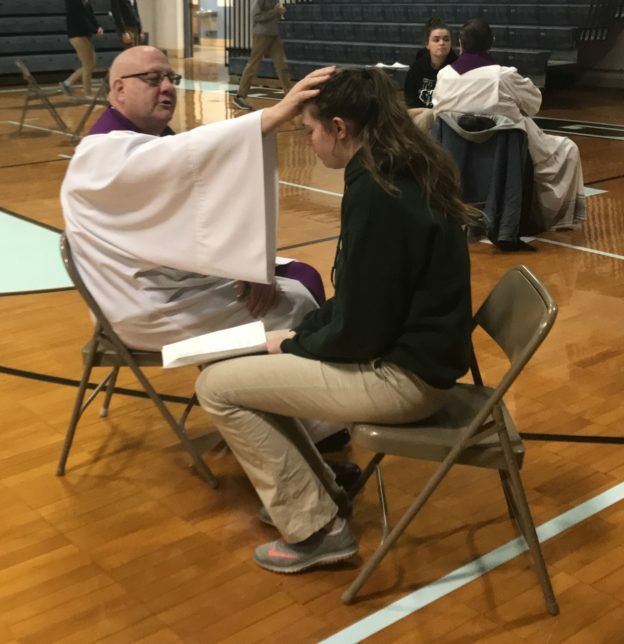 Members of the Mater Dei community received the Sacrament of Reconciliation during our annual Lenten reconciliation services, which were held on March 29. We thank our local priests for providing this opportunity!